WE PAY CASH for your unwanted vehicles. crashed, damaged, mechanical, no wof/reg no problem. Please call us today and check how much you can get for your vehicles - no place is too far for us. We also buy vehicles that are on the road and make a quick deal. Pacific Auto Parts Ltd are second hand automotive parts specialists operating in the otago Region. We pay cash for old car, trucks & vans. The condition of the vehicle does not matter, working or not we take anything. 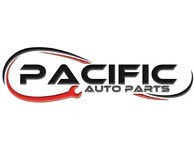 Call Pacific Auto Parts Ltd for car, trucks & vans parts. Our prices are affordable and we have an experienced team on hand to help you with all of your parts queries. For more information call us today and check how much you can get for your vehicle. Pacific Auto Parts Ltd offers quality automotive dismantling services in the Dunedin area. We pride ourselves on our quality workmanship and efficiency. Get in touch with us today to find out how we can help you.